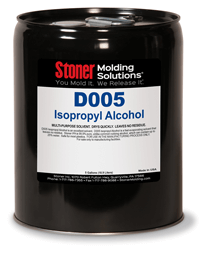 D005 Isopropyl Alcohol is an excellent defluxer and general purpose degreaser. This strong cleaning agent removes dirt, oxides, oils, smoke film, and corrosion from both metal and plastic parts. It evaporates fast and leaves no residue. Stoner IPA is 99.9% pure, unlike common rubbing alcohol, which can contain up to 25% water. Plastic safe. Pour off into smaller bottles for field service applications. Apply with squirt bottles, pump spray dispensers, swabs, wipes, or even tank dipping techniques. Have you used Pure Isopropyl Alcohol?